They say that journeys taken together bring people closer and form bonds. 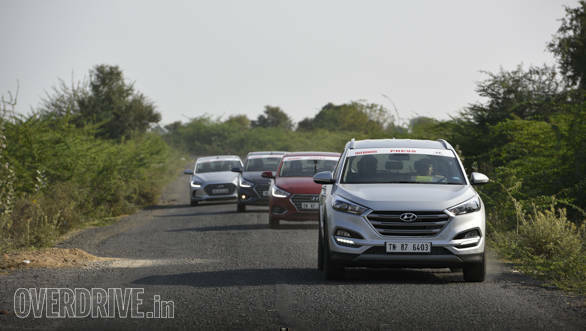 Halfway through the 2018 OVERDRIVE Hyundai Republic Drive, our participants had begun to form one such bond among each other. Over the radios that we have installed in our cars, there was friendly banter and camaraderie as we drove towards our next destination, Lakhpat Fort. While we could have chosen to drive there on tarmac, the adventurous streak in us prompted us to take a long, detour, via the Banni Grasslands. 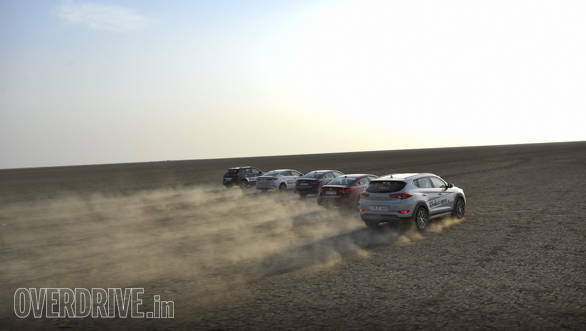 The surface was part dry mud, part sand, but our convoy of Hyundais kept rolling on, cosseting the participants in comfort. The sight of greenery in a predominantly mud-brown landscape was like finding an oasis in a desert and a few kilometers down the road, it turned out to be literally that. In the distance, we could see the majestic Siberian cranes, gathered on the banks of a small pond. And to our right was a herd of camels. Standing in the searing heat, we could only imagine how these animals and birds have managed to adapt and survive in this harsh climate. With that thought in mind we continued to Lakhpat, but not before having a traditional, Gujarati meal. 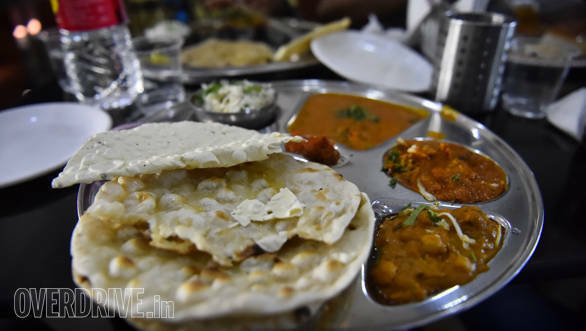 The colour and flavour of Gujarati cuisine quite distinct and we relished every bite. About 60km later, we could see the huge walls of the Lakhpat Fort. 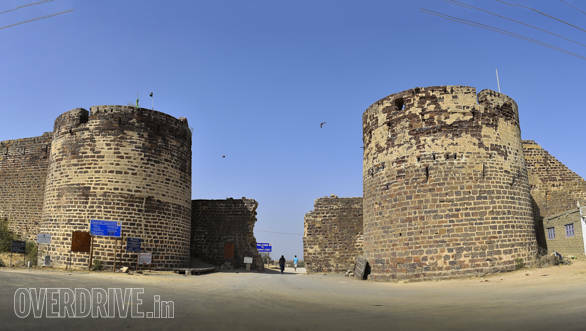 Erected in 1801 by Jamadar Fateh Muhammad, the 7km long fort walls are still intact. Driving past the tall, arch gate it seemed as we stepped back in time. While most of the area inside is deserted, it makes you wonder what life must have been like in those days. Lakhpat, historically was an important trading route, connecting Gujarat and Sindh. The waters of the Sindhu river used to flow into Lakhpat and further onto Desalpar Gunthli. People here were prosperous, but a natural calamity altered the course of the river forever and trade through Lakhpat slumped faster than a falling stone. 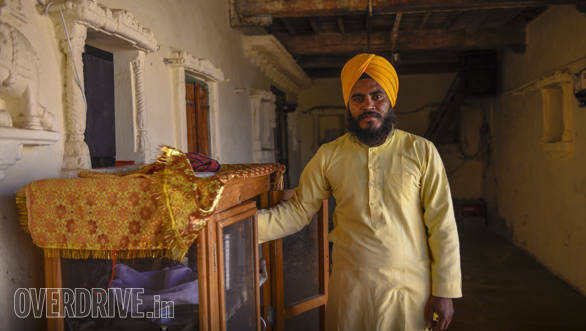 What remains is the fort and the Lakhpat Gurudwara Sahib also known as the Gurudwara Pehli Patshahi or the Gurudwara of the first master. It is said that Shri Guru Nank had stopped at this Gurudwara on his journey to Mecca. 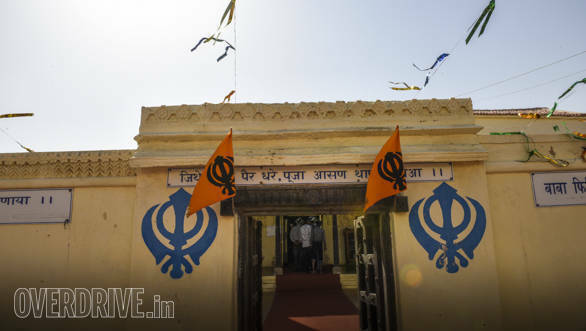 This also happens to be the westernmost Gurudwara in the country. After paying our respects to the Guru we sat down in the Langar hall and relished the delicious langar (food) that was served. "It was one of the most divine experiences I've had," said a pensive Keith Gomes. 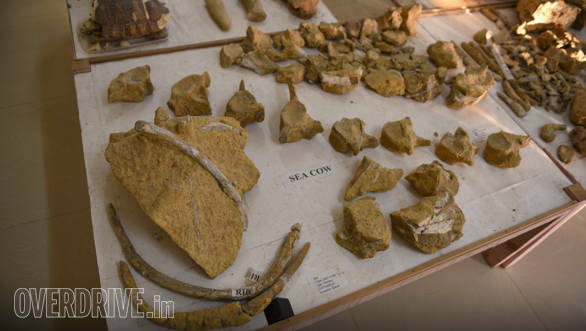 Later that day, we stopped at the Kutch Fossil Park, a dedicated museum that contains fossils collected by one man, Mohansingh Sodha. 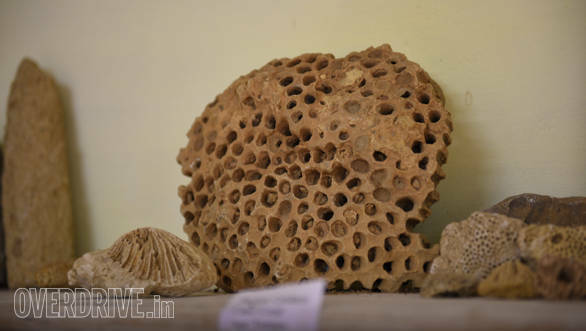 He dedicated his life to collecting fossils in the Kutch area and this was evident in the vast variety of fossils on display at the Park. 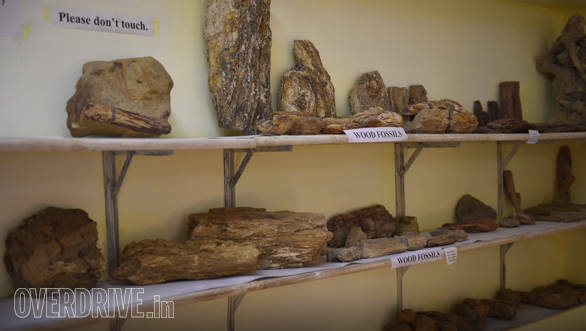 There were dinosaur egg fossils, plant fossils as well as rocks that belonged to the cretaceous age. It was amazing to see the effort that goes behind preserving these relics. 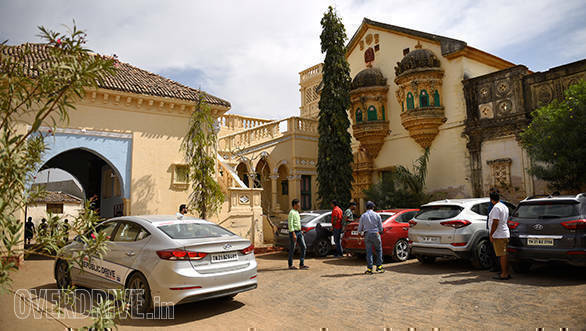 The following day, we checked into Devpur Homestay, a heritage property run by Krutarthsinh Jadeja. Homestays are window into the the lives of the locals, their culture and food; an experience that no hotel can beat. Later that evening we headed to Kalo Dungar or Black Hill via NH341. Since the road leads to the border, it is in pristine condition, making it a pleasure to drive on. Once at the top of Kalo Dungar, we had a panoramic view of the Great Rann of Kutch that's formed by the evaporation of water from the Rann of Kutch Lake. We stood there, mesmerised by the vast expanse of the lake and the sight of the setting sun. Adding to the effect was the still waters of the lake reflecting the hues in the sky above. " Is this for real? I haven't seen such colours in the sky ever," said an astonished Shikhar Gupta. 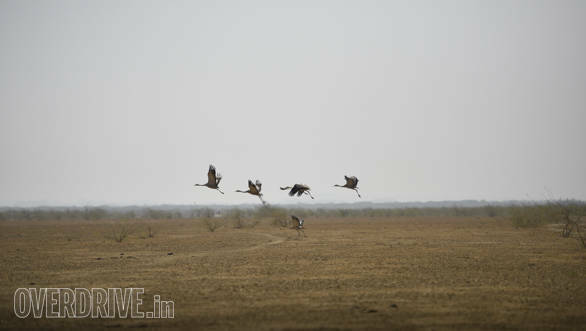 The Great Rann of Kutch looks even more magnificent when you are on it. The marshy texture of the surface meant that we could not drive too deep into the Rann but to stand and stare at nothing but the horizon was simply, sureal. The Rann maybe featureless but there's beauty in its emptiness and no picture can do justice to it. 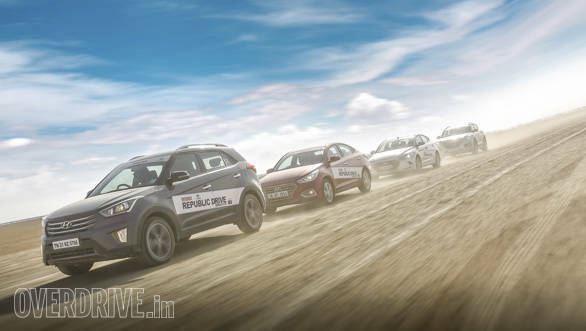 Our colourful Hyundais stood in stark contrast to the snow white Rann and we were pretty impressed by how well they had performed on this road trip. The engines are refined and powerful, the cabins are spacious and loaded with features and the ride quality is remarkable. With another Live Life in OVERDRIVE experience coming to an end, what we took back were lasting memories and new friends who share the same kind of love for automobiles as we do.